Add this set of 100 informational text cards to your classroom routine and watch studentsâ€™ comprehension abilities skyrocket! Each reproducible card contains a high-interest mini-passage and five key questions to hone must-know skillsâ€”in just 10 minutes a day. 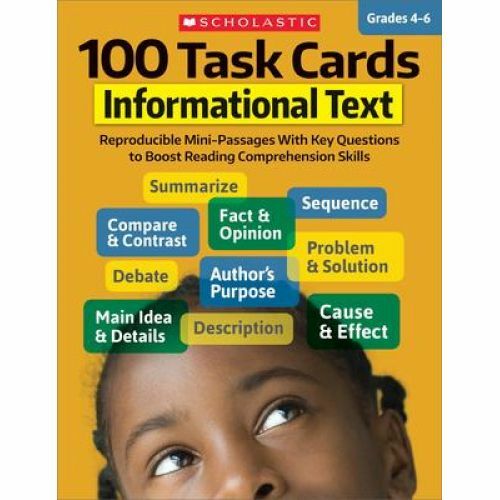 Cards provide guided support to help students identify main idea, make inferences, sequence events, compare and contrast, determine authorâ€™s purpose, and more. The fascinating, fact-based content is sure to motivate all learners. Grades 4-6. Paperback. 80 pages.